Ferengi mercenary. Very good engineer and cook. Brunt is loyal to his partner, Ezri, with whom he is secretly infatuated. Unfortunately, he's not her type. 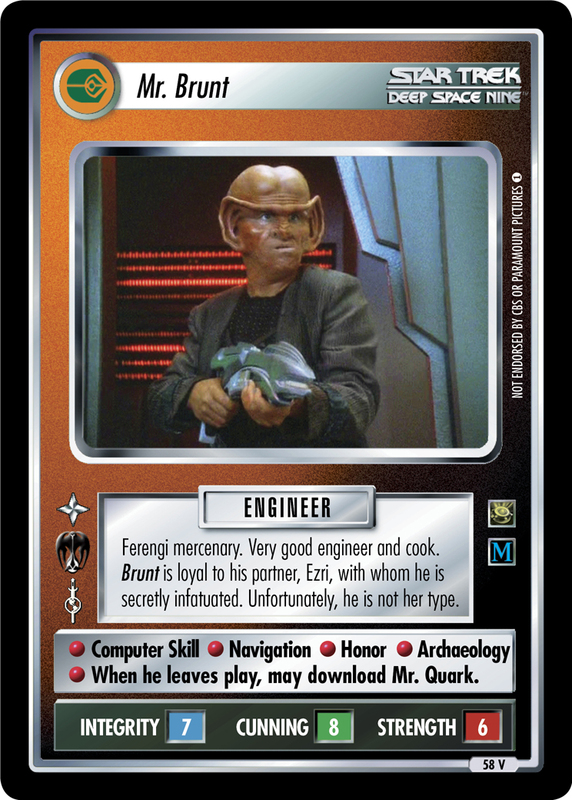 • Computer Skill • Navigation • Honor • Archaeology • When he leaves play, may download Mr. Quark.